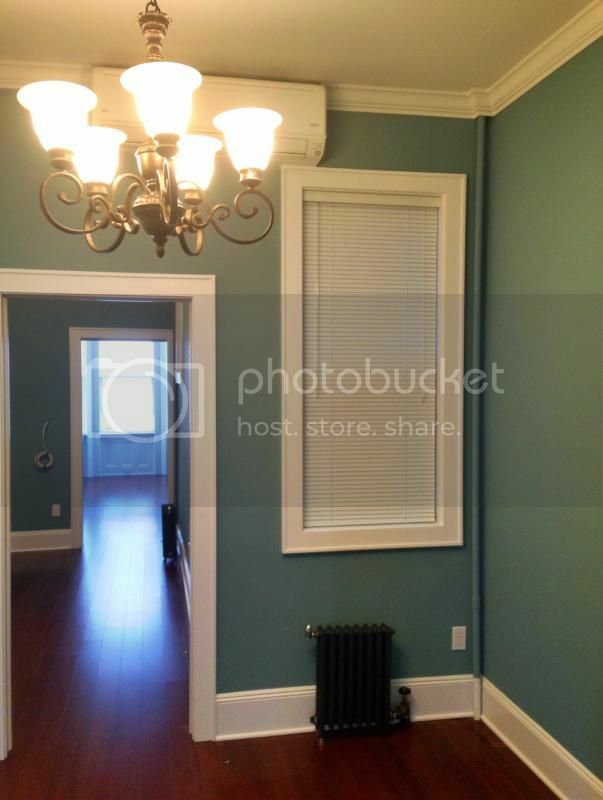 NYC Window Blinds: photos, comments, advise. 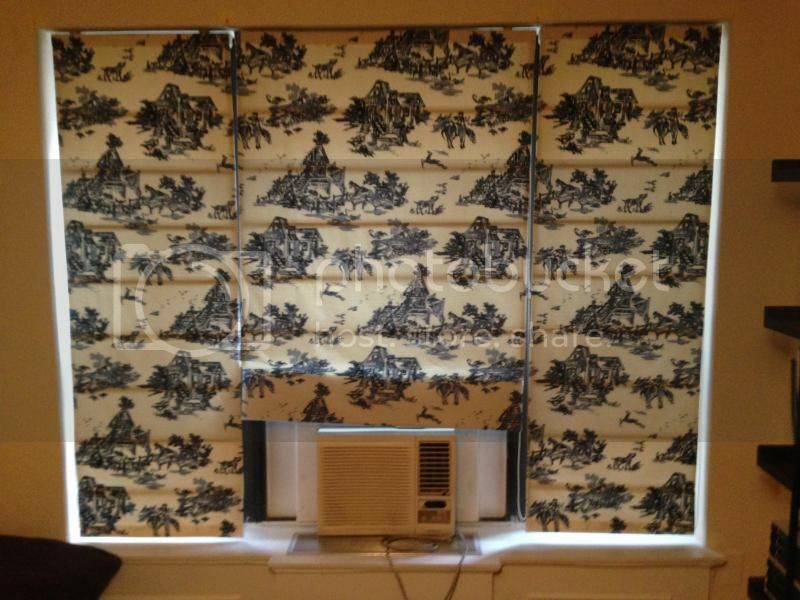 Thread: NYC Window Blinds: photos, comments, advise. I marvel at people who don't mind the "fishbowl" look, especially at night. I couldn't do it. I agree, living on display for the world - or at least your neighbors - to see, is not at all comfortable. I need to use sheer curtains during the day so I have privacy: yet still have views out and plenty of natural light. During the night when it is dark outside, people can see inside the apartment because I have the lights on: that is when I roll down the blackout shades for total evening privacy. No "fishbowl" living for me, at my home. This artist does not live at the studio, this is strictly a commercial space: located in Williamsburg. That is the pedestrian path of the bridge that is visible just outside the window, barely noticeable in the photos. Thank for viewing this page, I am hoping to get some people to talk about their 'window blind' issues, and could be an interesting and useful thread for exchanging ideas and solutions for 'urban' window coverings. Sheers definitely. Also Roman shades can open from the top to let in light and save privacy. I'd like those. yes, I was on the high line today and noticed that the top-down type of window treatment would be a good solution for those folks who live along the walkway: still can see sky, get light - but not passers by peeping in the window. Romans' are good for that application; and so are cellular shades. 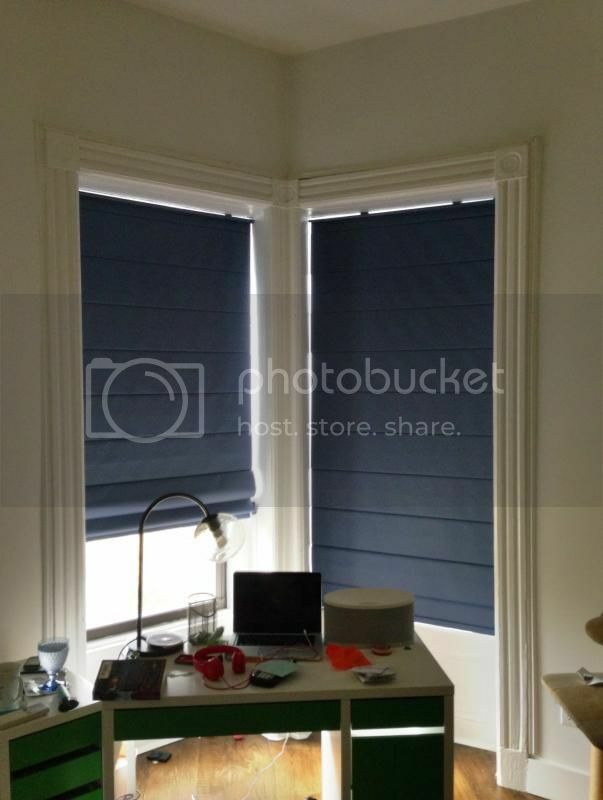 Good place to buy: justblinds.com, select blinds.com, blinds.com, bedbathbeyond.com. BTW - I have the contract measure/install services for those on-line suppliers, among others: so maybe well meet if your in the market for some new blinds. 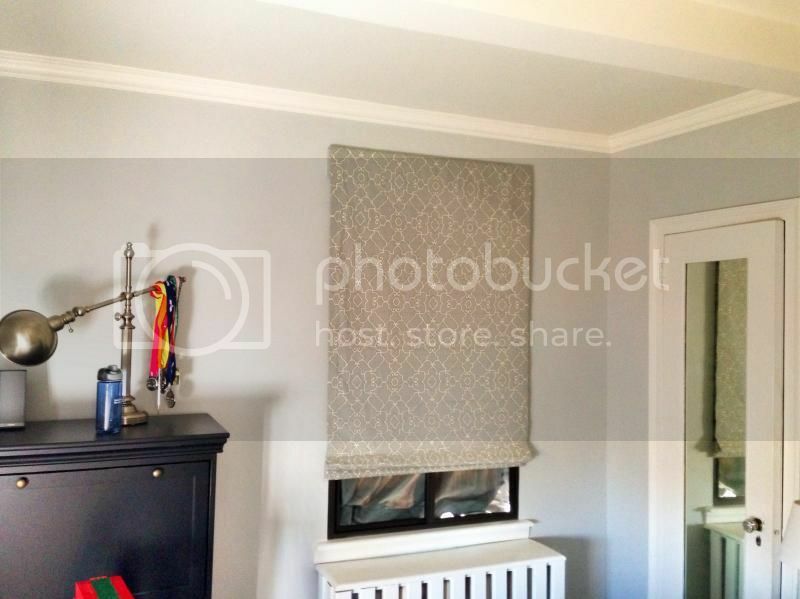 I measured & installed for these roman shades recently in Park Slope: they were purchased at bedbathandbeyond.com. I think they look great: but no top down feature, because they live on the top floor and only 6 story brownstone buildings across the street - so no need for the privacy feature. Last edited by infoshare; September 30th, 2014 at 07:38 PM. 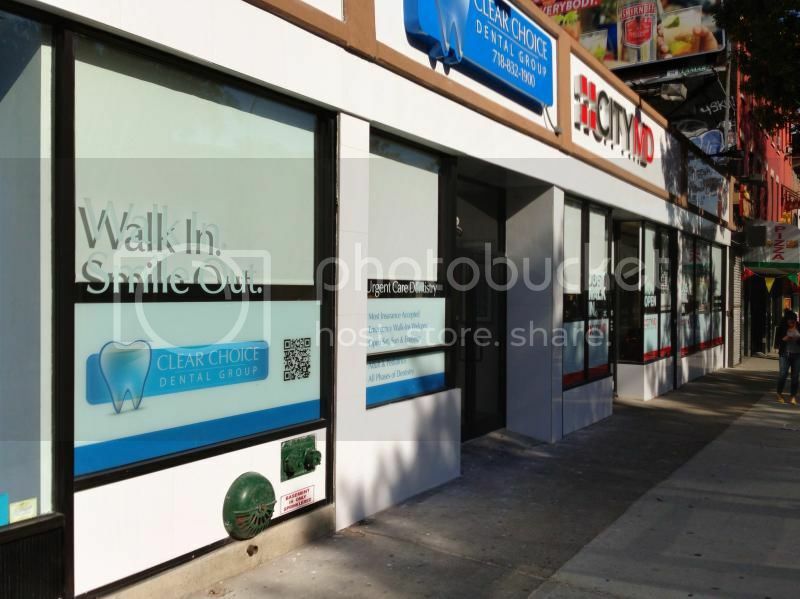 "Walk in, Smile out…” dental clinic in Park Slope, Brooklyn. This is a 1% openness solar shade: you get a nice view of the street when looking out - but total privacy in the waiting areas when on the street outside looking into the clinic. This type of window covering will greatly reduce the amounto of heat build-up in the reception areas with those large south-east facing picture window: and saves a lot of money on the cost of air conditioning. Transparency looking out from the inside; looking out to view the street with a 1% screen affect. No view inside the office from the street: total daytime privacy. Last edited by infoshare; November 28th, 2015 at 02:24 PM. This is a 4th floor loft apartment, facing 13th, between 5th and 6th Avenue. Homeowner told me she want’s to “see the sky” but not look into the apartment directly across the street: or have the neighbors look into her apartment for that matter. 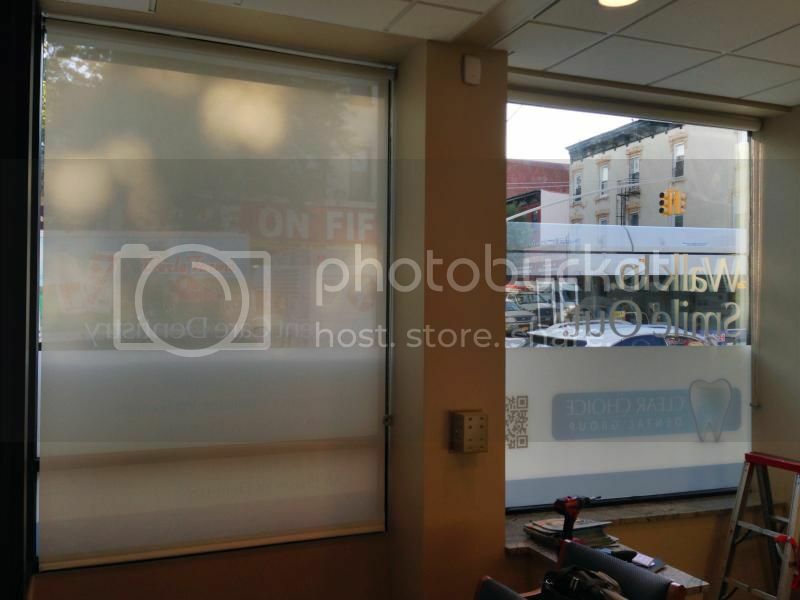 Top-down/ bottom-up light filtering cellular shades, with an insulting liner to reduce cold air and street noise was the right choice for these NYC Windows…. I'm not going to lie, I am a HUGE fan of floor to ceiling windows with no coverings for everything in the apartment but the bedroom. And I only want shades there so I can sleep in the dark - they'd be open all the time otherwise. The setup of our old apartment was perfect, because the bedroom faced down the alley, which was dark, and our front windows all faced 181st st, so we never had to close the curtains. i know lots of people want privacy, but I'm happy to show off whatever. From the look of it, so were my neighbors (or they were too poor for shades, take your pick). 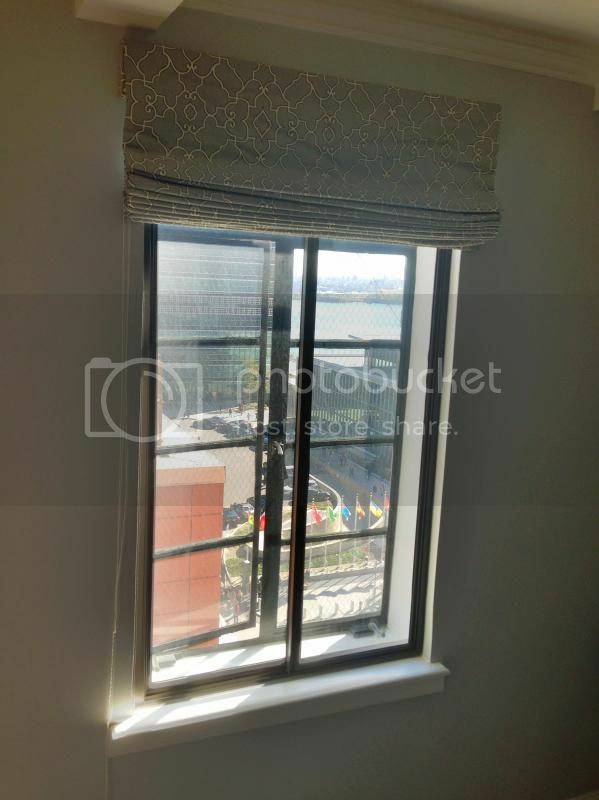 Anyway, glad most folks love the privacy, comfort and decorative affect of fine window coverings: selling and installing NYC window blinds depends on that kink of demand. That was the chanting refrain I heard for about an hour, from just outside the window where I was installing these roman shades today. They are are lined for room darkening, but the heavy fabric liner also serves as a much needed ‘sound absorber’ for this noisy location. BTW - Can anyone guess the location of the building: clues abound - not to mentions the presence of ‘protestors’. Yes, the UN building is right outside the window: some sort of protest was in process there the other day. I think there are always various protest groups with megaphones outside the UN building; which may explain why there is an extra layer of soundproof glass added to the original casement windows. Along with the double layered glass, and the heaving lining on the roman shades; that bedroom will be dark and quiet. Made in America, solid bamboo, non-toxic matt finish varnish, 2 inch slat horizontal blinds: heavy gauge metal header & brackets, smooth running top quality cord pull/tilt gears - nice product. 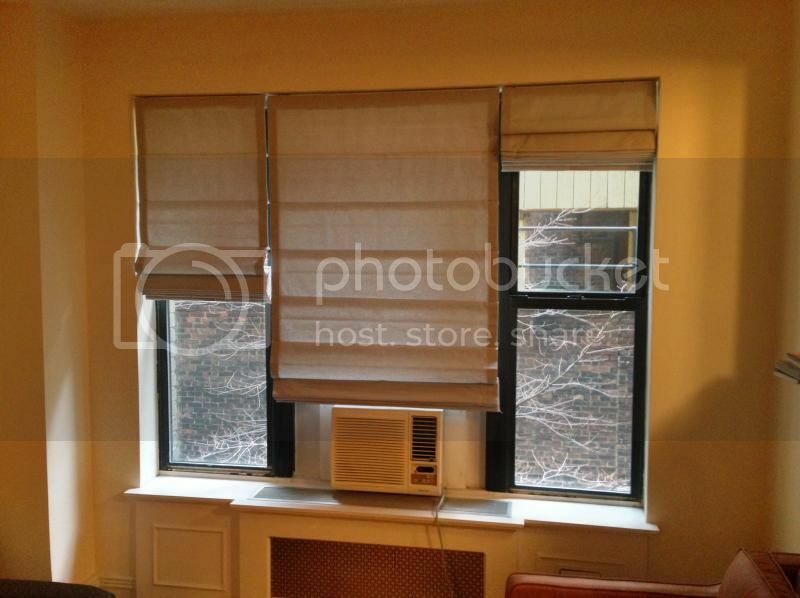 These were installed in a one bedroom apartment on 86th street, between Park & Lexington Avenue. 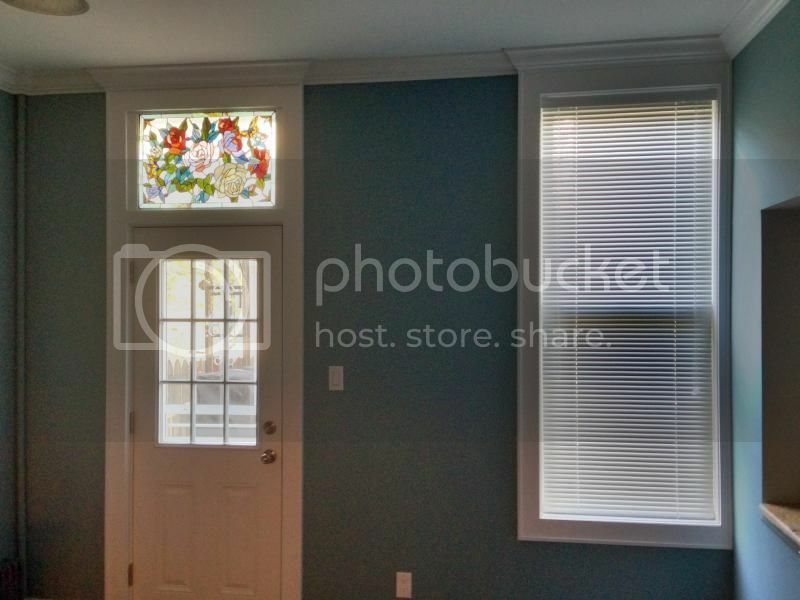 Total cost for blinds only was $325, and purchased from a dot com window blind retailer: installed by DB Interiors. This is a great product for a good price - that gal is a smart shopper. The home owner is a CPA (certified public accountant) so knows full well how to watch those dollars & cents. 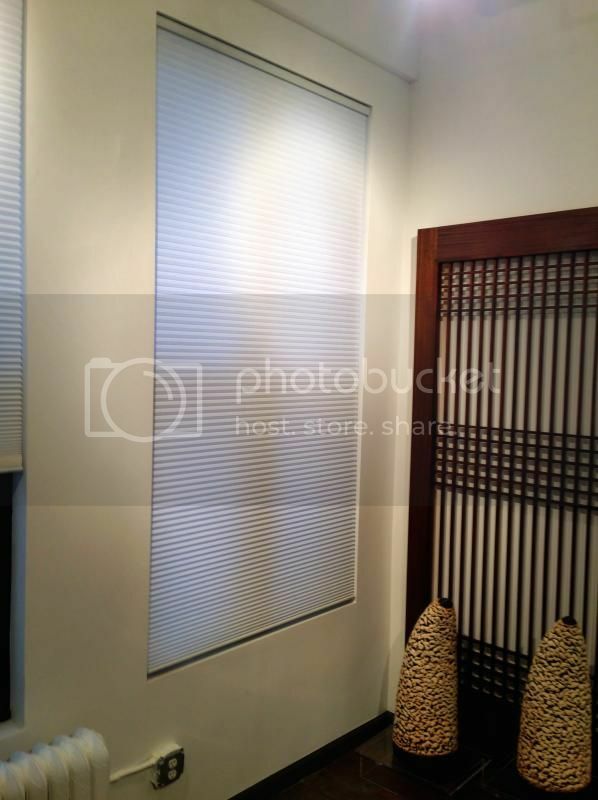 Another ‘inside’ look into a NYC residence: with a special focus on NYC window blinds. 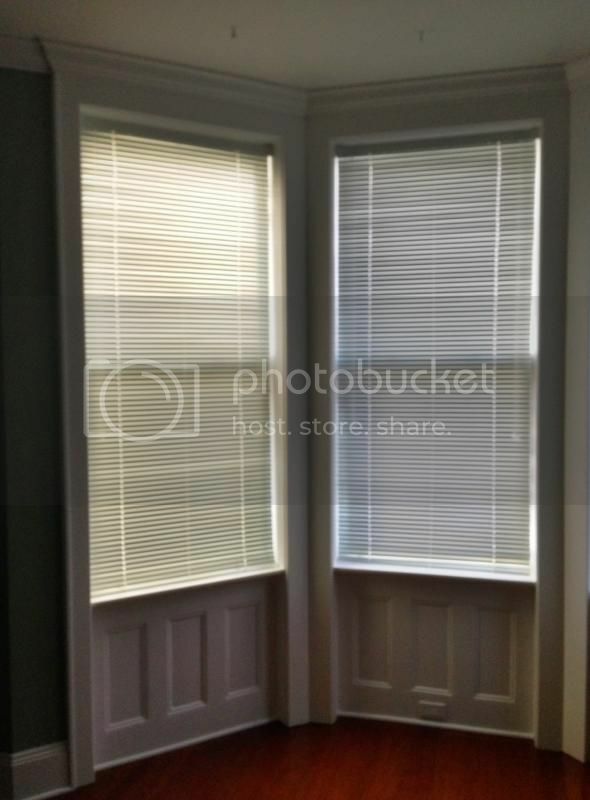 A newly renovated Williamsburg apartment gets fitted out with new mini blinds for each room of this street level dwelling with a private backyard. This place is a short walk from the Graham Avenue station on the ‘L’ train; the ride into Manhattan is only about 10 Minuets. 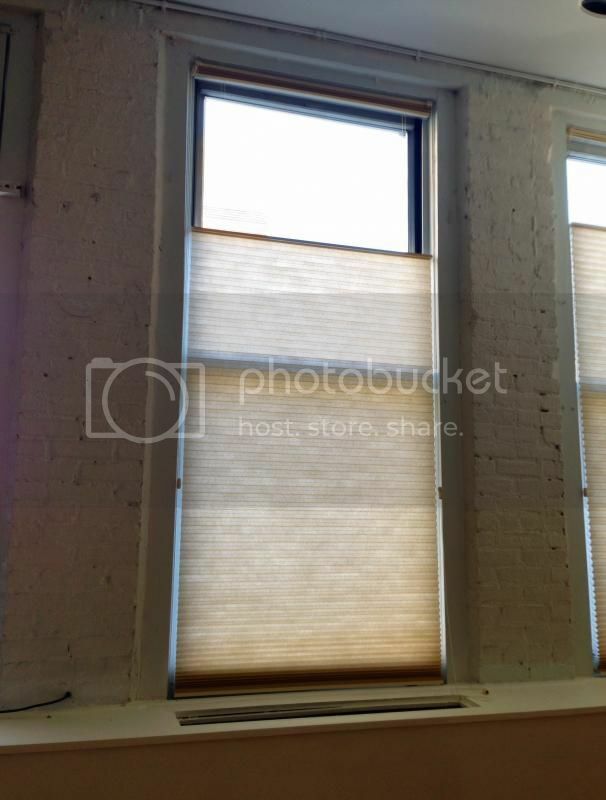 These custom made aluminum blinds are great for modulating the light/views/privacy in the apartment; as well a offering good room darkening when needed. Low cost, low maintenance and easy to install: nice choice for this particular apartment. Last edited by infoshare; November 28th, 2015 at 02:23 PM. “The rise and fall of the Roman Empire” - oddly enough; that was the title of a volume of books that were on the shelf next to the window where I was installing these new ‘Roman Blinds’. I am not sure which is the fall - the before or the after - the new or the old blinds we replaced. The newly installed Roman Blinds look a bit bland; compared to the old Roman Blinds with the pretty bright blue pattern. This is one of three windows in a small one bedroom, ground floor apartment, located on 88th street between Park & Lexington Avenue. 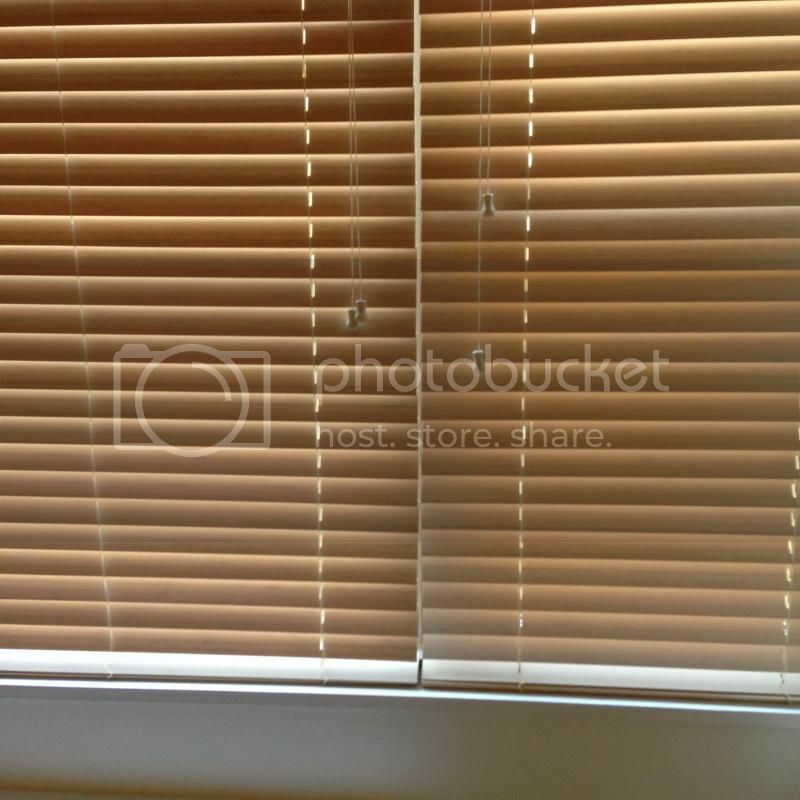 The new occupant is a single male MD who clearly does not like patterns on his Roman Blinds: the other rooms had the same type of Roman Blinds with a different pattern and were all replace with this ‘understated’ window treatment. 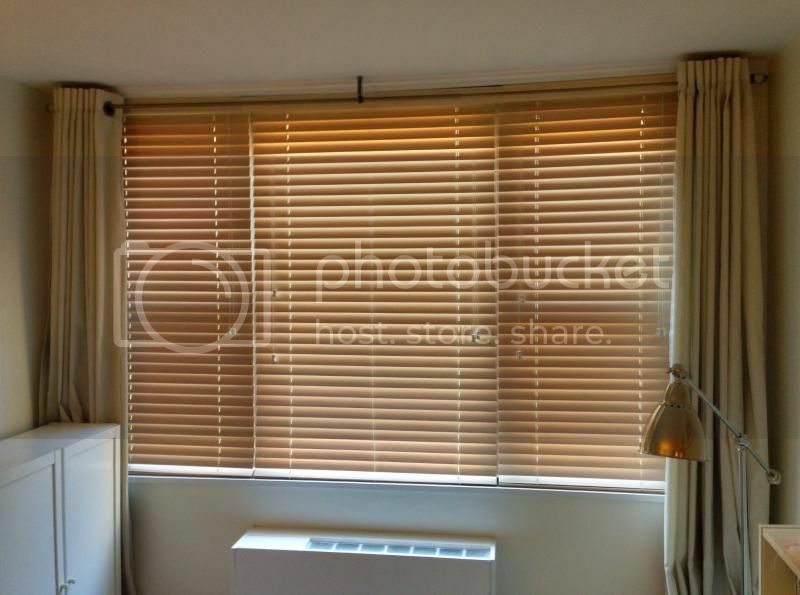 Personally, I do think the new blinds better fit the ‘bachelor pad’ aesthetic: if their is such a thing. The new Roman Blinds also have a room darkening liner - the old blinds did not, and so only ‘filtered’ the light. Always in ‘fashion’ are the humble, but attractive, cellular shade. 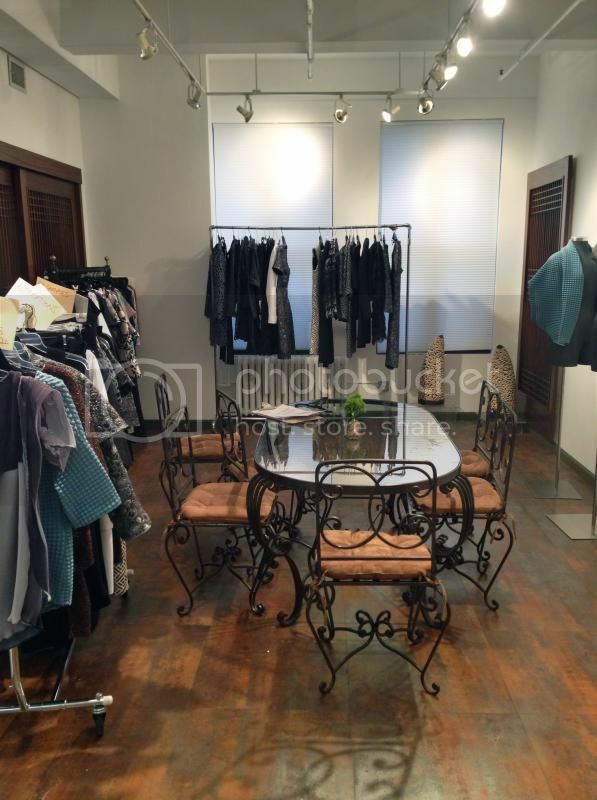 Installed recently into this fashion design studio on the Garment District. It lis a simple, clean and modern look similar to roller shades: but with a tailored fit: roller shades do not have that tight fit on the sides because of the brackets and roller shade hardware - cellular shades are ‘top mounted’ and therefore have much smaller gaps on the sides.